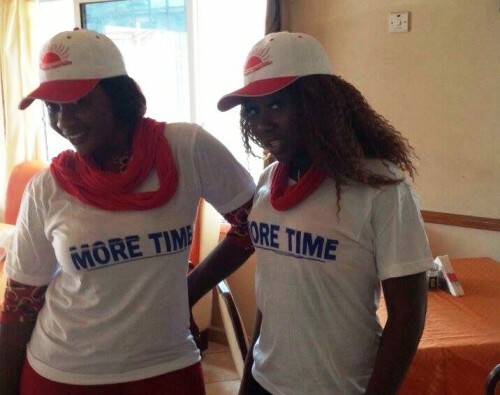 Third term presidency now rebranded as ‘more time-ism’ – but at what cost? HomeDele Awoonor-GordonThird term presidency now rebranded as ‘more time-ism’ – but at what cost? 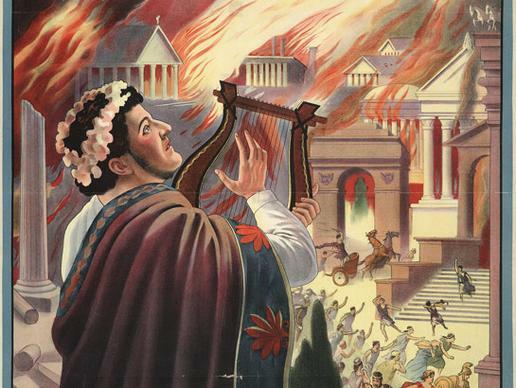 No single individual is a paragon of perfection… Not even President Koroma, who seem to be behaving not only like Emperor Nero, but is also hiding his head under the political parapet – amidst the increasing level of nefarious political calumny in Sierra Leone. I am not interested in ethnic colouration or party affiliation. The plain truth is that should President Koroma and agent provocateurs dare the eye of the storm once again, through constitutional and political machination to a third term, expressions of frustrations will take over our polity; and the eventual consequence will not only consume him and whatever he may perceive as his legacy now, Sierra Leone will never recover from the aftermath. 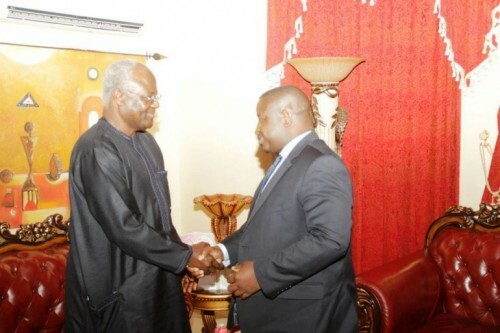 The fact is that Sierra Leone and its people do not owe Koroma anything – not even gratitude. Why? He not only volunteered for the job, he promised heaven and earth as well as swore to be an agent of change for a new nation. But this is not the change we were led to expect. 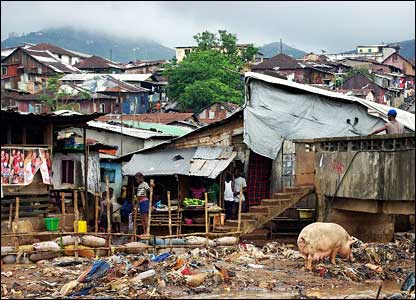 This is not the kind of change APC and President Koroma promised us. What the party has done is to betray the trust of this and future generations. To put it bluntly – we were conned and deceived. Another fact – the APC and its ‘leader-for-life’ has consistently exploited the gullibility and low literacy level of the generality of the people, to perpetuate heinous crimes against the nation and its citizens, unchallenged. With a rather inept opposition, whose leading flagbearers are now turning to be his cheerleaders, he obviously is not out of his comfort zone. Real leaders spend more time thinking about the nation and the welfare of others before they even think, sometimes of themselves. They promote and not abort the great expectations, ideas and desires of the collective. Right now, our dear old country needs strong democratic institutions and not strong men. We have had enough of ‘strong men’ in power, whose essence of service is no longer motivated by patriotism – but selfish and monetary interests. And it is an undisputable fact that those who are insulting the intelligence of almost six million odd citizens of Sierra Leone need to get into their heads. If they want to know, deception is corruption. Some of us are aware of the different levels of the concept of working towards the achievement of a desired goal, while strenuously denying the intention. I do not for one bit accept the attempts by party officials and others – including the President himself, at denying their third term agenda bid off-hand. The reason is simple. Deception is a process by which wrong becomes right, and right becomes wrong. It’s a complete paradigm shift of opinions, standards and morals that is achieved softly, subtly and then gradually entrenched into the psyche of society. It begins with the shocker. It then goes on to the outrage and then to general discussion, until it gets to the level of tolerance; then acceptance and finally reverence. In the machinations of political corruption, anyone who wants to popularise the most unimaginable thing in a society, selects a front runner to drop the shocking message on an unsuspecting public. That is the shocker – the bombshell. Expectedly, it would inevitably be followed by outrage. The forerunner is abused and demonised by the bewildered public. Every respected leader in society comes out to slam the lamentable reprobate who dared suggest something so obnoxious. The forerunner defiantly defends the practice. His critics come out even more scathing. But the forerunner knows exactly what he is doing. He is setting an agenda. Many people don’t understand the effect of continuous exposure on the human mind. What has happened on the political landscape in Sierra Leone now, is that the third term agenda has reached the third stage: discussion. Those fore runners who floated the idea have completed their mission. Others are now taking over under a new disguise. We are now busy slamming the issue, without knowing that we are falling into a well laid trap. Most of those championing the cause have been ‘settled’ and are being funded to keep the subject in public debate. That is how deception works. Third term is now more time. They know exactly what they are doing. The more people are exposed to the issue through discussion, the more it becomes less obnoxious in their minds. This will soon lead to the next stage: Tolerance. Once the topic continues, some Sierra Leoneans including the emasculated down trodden ones, will soon begin to say they are least bothered about whether President Koroma stays or not. To them, that is the problem of the political class to deal with, as they have their own load to carry. Consequently, before we know it, the on-going constitutional reform or even the APC dominated lame parliament will legitimise the third term aspiration, by amending the relevant legal and constitutional instruments, and then claim it is the wish of the people. As soon as this happens, activists of the third term bid are given a new pursuit. The main purpose of this stage is to ensure that the issue is legally accepted. The next two steps are then aimed at entrenching this notion at a social level. The penultimate stage is Acceptance. At this stage, more time and third term become a conventional alternative to true democratic ideals. All the outrage would have dissipated or lost in the political cacophony. This is the stage at which those still opposed to it are called all sorts of names and are considered anti-change. This is the stage at which there are demonstrations of support and such carefully choreographed parades in major cities. The final step is admiration, whereby people who support the agenda are praised and shown as beacons of the struggle for a new society. The well-fed media subtly promotes them as examples of ‘progressive minds’, and those opposed will be labelled as unpatriotic and selfish individuals. Every government controlled medium and party organ will on a daily basis, continually highlight the droves of popular and important citizens who are joining the bandwagon and are proud to endorse the president for elongation. That is how you corrupt a whole society. That’s how previously unthinkable things and all other forms of political perversion have taken root in our society. Sadly, that is the course which the third term plan is now following. 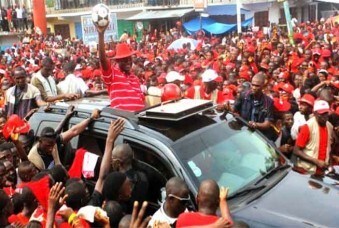 When President Koroma assumed office eight years ago, the expectations of Sierra Leoneans were very high. It was very high because of the lofty promises and the media blitz that heralded his coming to power via a democratic process. President Kabbah’s SLPP had nearly run the country to the ground, and the APC sensing the helplessness of the people, used fear, the political currency of trade, as well as the crafted rhetoric of change, to duly woo a dispirited populace. Therefore, it is morally abhorrent, at a time when we should be focused on building a better, more equitable nation and society, for those in power to continue to entrench their selfish desires on a bruised and battered country and populace. If President Koroma truly loves this nation above himself, his ambition, love of power and whatever vision whirls round his head, he should henceforth put a stop to every kite being flown by his party faithfuls and some disingenuous smokescreens. He might have collared the legislative arm. He might have stuffed the mouths of the judiciary, and he might have poodles in his executive arm. Fair enough. The police force may have become his foot soldiers and the army under his jackboot, while part of the media feels more comfortable as his megaphone. Intimidation, vendetta and executive overzealousness may have succeeded in cowing some of the people, while poverty has choked others. For all we care, he can twist the constitution anyway he wants – he has taught us a lesson there. Normal life may have indeed been strangulated long ago and the underlay of our society may be in place for a chaotic system. What is obvious however, is that as we approach the end point, those supposedly cheated since his bid to ‘lead’, are now beyond any sense of community, which is what begets leadership. In the unfortunate circumstance that constitutional manipulations are employed, he may not be around, just like those before him, who raped our nation to the point of paralysis and lived under the illusion of invincibility. He will similarly never be forgiven – for all the wrong reasons. This is why I wish to implore him to make a strenuous effort to remove his own footprint from those of our past so-called leaders of integrity, but under whose watch monumental stealing and democratic carnage took place and led us to an un-necessary civil war. We are paying a heavy price for our decades-long mistakes; for the greed, avarice and thoughtlessness of our leaders. Today, our very survival is hanging in the balance. We must retrace our steps and we must start now. Our glorious past can teach us a lot and we can use the promise of the future to strengthen our today. In the past, there was a reasonable connection between leaders and the led. But these days, the problem we have is that majority of the down trodden are so alienated from their leaders and whatever the modern world has to offer, that they have nothing to lose. The gap between our glorious leaders and the led, has reached its widest level ever in the history of our nation, such that the two now live in two completely separate worlds. For leaders, life is about the government house, the entourage of hangers-on and spin doctors, chartered flights, foreign schools for the kids, property overseas and medical check-ups abroad. For the led, life is about a meagre existence, too many mouths to feed, dilapidated primary and secondary schools, near-impossible university admission, etc. The two worlds hardly ever meet except at campaign rallies where a tiny amount of ill-gotten wealth is thrown at the masses. The poor are hungry, ignorant, alienated, disillusioned, frustrated and desperate. They are the victims of Ebola and floods. They are the ones who end up sleeping on the bare floor of stadium hall. They are the ones who eat plasas without beef; go bare-footed and wear worn and torn clothes to cover their shame. They are the ones who live in zinc huts and stand endlessly for poda-poda with the option to trek miles, while their leaders passes by in their luxurious vehicles with blaring sirens. To all those who truly love Sierra Leone and are determined to see a proper change, political developments such as the constitutional murder and judicial funeral service, as well as indications of a total collapse of any sense of decency from our leaders is a call to arms. It may look like the end of the struggle. But End Is Not The End. In fact E.N.D is ‘Effort Never Dies’. We need to double the general reorientation of our society and help the generality of the people to focus more on things for their own posterity, and pray for divine intuition. We need to inject a lot of soft power in the fight against impunity and the denigration of our governance. We need to reverse the disinvestment in the socio-political education of the masses and transform them from those who have nothing to lose, into those who have a lot to lose if they do not protect their rights. Let us educate them and show them that there is still hope for Sierra Leone, such that no stipends will convince them to sell their future to deceitful leaders. Unfortunately, corruption cannot eliminate corruption. The pain of our future is indeed a grievous one. Reading this reminded me of Professor Peep. Such a great illustration of the multi-layer issues plaguing Sierra Leone and nearly the entire African continent.